Progressive Democrats have been working to create an anti-life culture for years. And their even more left-wing Socialist counterparts disregard the founding documents of our nation that state everyone has a right to life – and a right to freedom from government control. Their new “mascot” has thrown her support behind a ridiculous new movement — and now we’ve heard it all. Recently, Alexandria Ocasio-Cortez, the young, naïve, and rabidly Socialist freshman Representative from New York started a discussion on social media. The question and answer segment was meant to bring attention to a new movement introduced by liberal climate activists in the U.K. There seem to be two parts to the Birthstrikers’ “argument,” neither of which has a factual, moral, or ethical basis. First, these women believe that more humans means more climate change, thus ruining the planet. In fact, they believe the entire natural world is on the verge of collapse. One of the founders of the movement, Victoria Derbyshire, has discussed her views on news outlets like BBC. She backs her reasoning with statistics based on scientific scare-tactics, like “each child that is not born will save an estimated 58.6 tons of carbon emissions a year,” according to the Guardian. The second part of their argument is that young women don’t even want to have children in such an unpredictable and frightening world, because it will only cause children to suffer. “It is basically a scientific consensus that the lives of our children are going to be very difficult, and it does lead young people to have a legitimate question: is it OK to still have children?,” lamented Cortez, according to the Daily Caller. 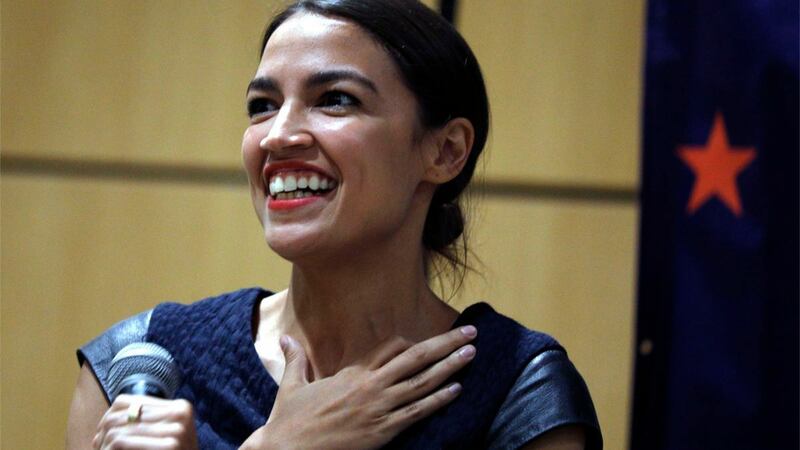 To paraphrase Cortez’s immature thinking, she believes that we are being irresponsible to have children when there is a chance that they may struggle or suffer in such an unpredictable world. “…so, we realized it was really — really important to tell the public that there are people out there are so scared about this that they feel that they can’t actually have a family,” Derbyshire said, according to Bloomberg. Perhaps these ladies do not realize that the natural world will indeed collapse if there are no more children born to take our place. And Cortez argues that millennials like her don’t want to bring children into a world that is already doomed in their eyes. The irony is, Socialists and rabid progressives are the ones jeopardizing the future of the human race. Abortion on demand…infanticide…government-run healthcare systems that choose profit over saving the life of a child or senior citizen. The harm to children that these women speak of comes not from “climate change,” but from babies being slaughtered by the millions from legalized abortion – from children who are denied healthcare because it costs too much. And, of course, these women don’t understand the notion of faith – of a God who is in control of creation and who has a distinct plan for our survival. These Birthstrikers seem to forget that life cannot go on if we don’t continue to bring new children into the world, or if they continue to be slaughtered. It cannot continue if the population is encouraged to change their biological gender so that couples are not physically capable of having their own children. It cannot continue if the entire basis of the family – the foundation for life – crumbles under false political rhetoric. We are not promised a life without struggle or suffering. That is, in essence, what makes us human – and what brings us closer to God. This appears to be another movement bred of entitlement and fear-mongering brought about by progressive activists. It is not only absurd, it is frightening. What do you think of the “Birthstrikers” movement? Leave us your thoughts.